& from Republic of Ireland / Éire including Ballyleny. The sleeve shows juat a little light shelfwear with minor creases to the laminate & a little scuffing at the opening. The colours remain bright & vibrant. The vinyl remains in excellent condition with just a few light surface hairlines to show for nearly fifty years, leaving it still sounding great. This is only the second copy we have ever stocked and the autograph and promotional photograph make it unique. 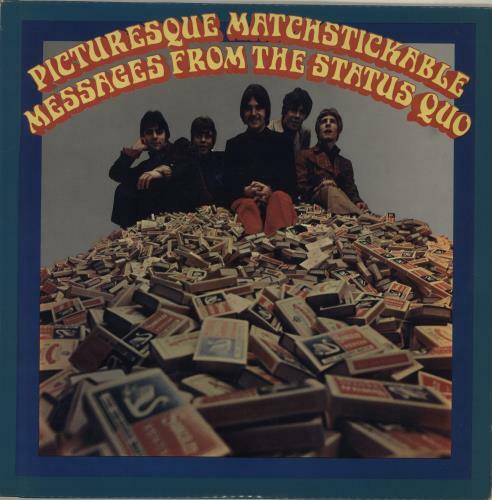 Product Information Status Quo Picturesque Matchstickable Messages - Autographed UK vinyl LP album (LP record).